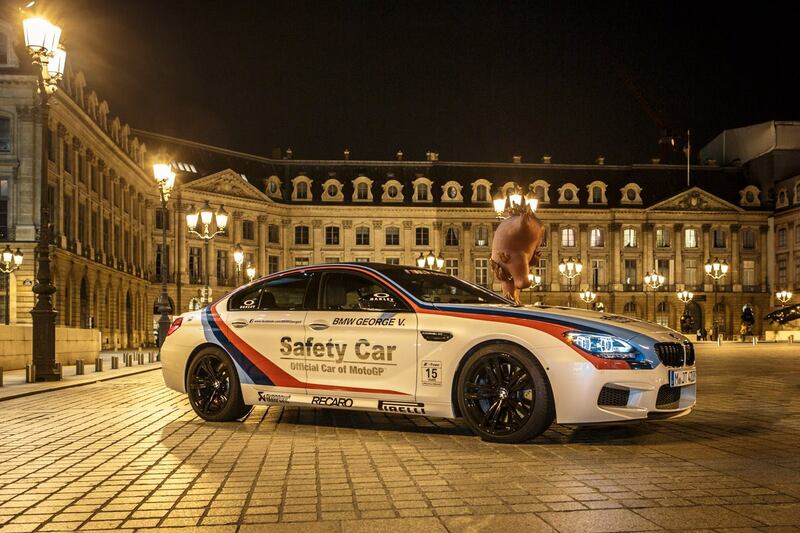 The BMW M6 Gran Coupe Safety Car heads to Paris for a nocturnal photoshoot. The local flagship store George V is hosting the special M6 Gran Coupe and visitors will have a chance to see the car in person. 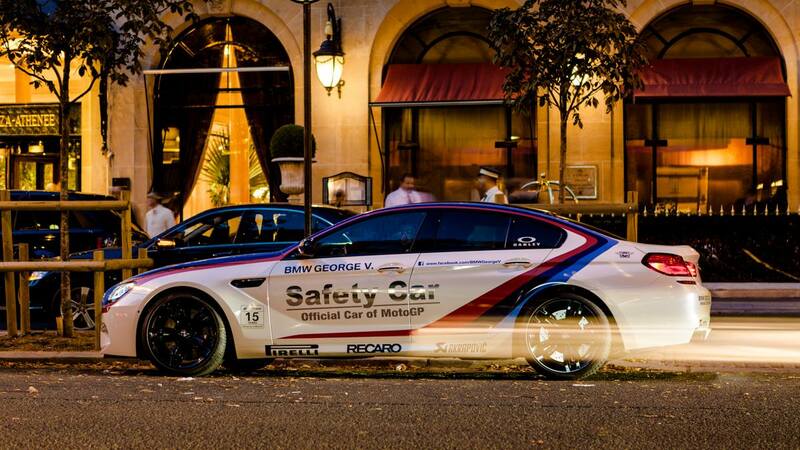 BMW has been involved in MotoGP since 1999 and provides the official Safety Cars. The Safety Car version of the BMW M6 Gran Coupe has been specially modified for its use as a pace car out on the racetrack. The engine performance, chassis technology, aerodynamic properties and balance, which is optimized using components such as the carbon-fiber reinforced plastic roof, are aligned with the kind of precision that people have come to expect of M.
As seen in the photos below, the car comes wit the typical Safety Car paint job, or wrap, and the specially designed Akrapovic exhaust system which enhances the acoustics of BMW’s best looking car, at least in the current lineup. 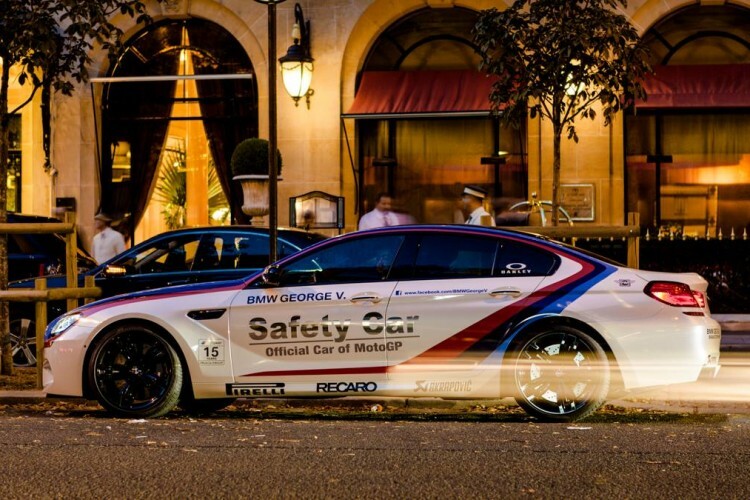 BMW M6 Gran Coupe Safety Car is powered by a high-rev V8 engine with M TwinPower Turbo technology and generating 412 kW/560 hp. It is this power that allows the BMW M6 Gran Coupe to accelerate from 0 to 100 km/h in just 4.2 seconds.